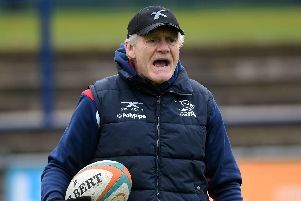 Only league leaders London Irish have lowered Ealing’s colours on their 3G pitch this season and forwards’ coach Glen Kenworthy admits it will prove a huge examination of their improved form since the turn of the year. “We’ve got the second-best away record in the Championship when it comes to wins and we’ve won four or our last five league games so we are hopeful of coming away with something but we know that we’ve got to do the basics well or it could be a long afternoon for us,” he said. Knights didn’t have a game last weekend and the coaching staff gave the squad last week off – something Kenworthy hopes will reap dividends. “January was a tough month and the players were physically and mentally shot after the Richmond game because not only had we played three crucial games we’d also ramped the training up so the break came at the right time,” he said. “We’ve trained well this week and we were able to play 14 v 14 which makes a huge difference when you can do that. “As I say, they are a good team and are well coached and they’ve got threats all over the place. “But we’ve come up with a few different things to try against them and hopefully we’ll not come away empty-handed. “We’ll need to defend as well as we did against Richmond, and there was still room for improvement in that game, and then take our chances. “We’ll be without (fly-half) Sam Olver but Kurt Morath is fit again and he’ll be looking for a big game as will Ollie Stedman against one of his former clubs. “Nick Civetta is away on international duty which is a massive blow because he is the lineout caller. Ealing will be looking to complete the double over Knights. 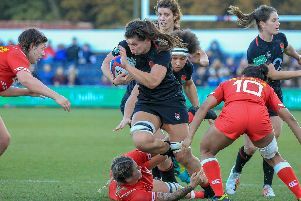 “They beat us at home earlier in the season but I thought the 38-22 score-line flattered them,” said Kenworthy.